Sarcomatoid mesothelioma is the most serious form of the disease, as it rarely responds to any treatment options. Sarcomatoid Mesothelioma strikes 10-20% of patients with mesothelioma. Death usually occurs within six months of diagnosis of Sarcomatoid Mesothelioma. It is difficult to diagnose Sarcomatoid Mesothelioma and thus far it has been resistant in responding to any type of therapy. 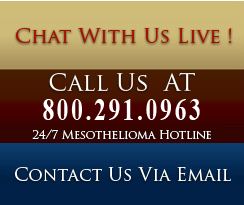 Mesothelioma is the most serious of all asbestos-related diseases. Sarcomatoid mesothelioma is sometimes confused with other sarcomas because it originates in the same areas of the body and has a similar cellular structure. Sarcomatoid Mesothelioma is both very aggressive and fatal. Pulmonary sarcomatoid carcinoma is the type most often confused with sarcomatoid mesothelioma. Similar to sarcomatoid mesothelioma, lung sarcomatoid carcinomas are much more likely in men (four times more likely than in women) and there is a strong association with smoking. Also, patients can present with similar symptoms, such as chest pain, pleural effusions and respiratory difficulty. If you or a loved one has been diagnosed with high grade sarcoma of the lungs or pulmonary Sarcomatoid carcinoma and you have had previous asbestos exposure, it may be best to seek a second thorough examination from your current physician or from an oncologist who specializes in mesothelioma.